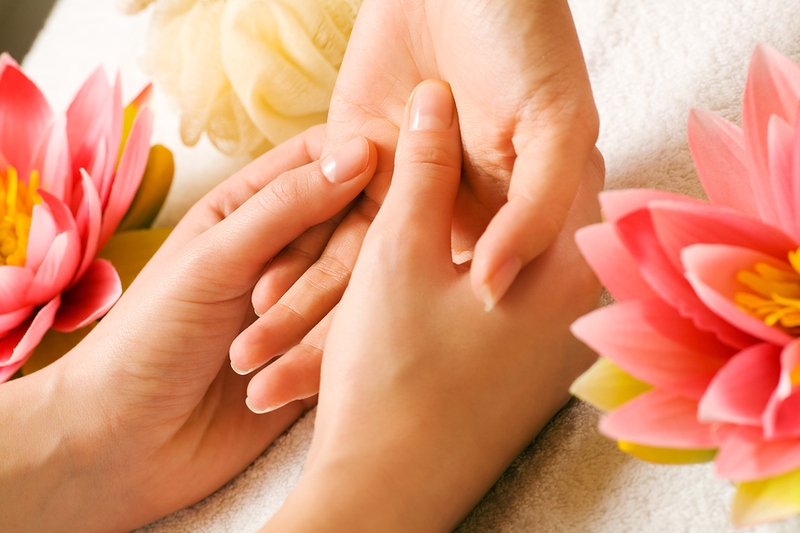 We take pride in providing exceptional, professional, healing On-Site Massage Service! First off – thank you! Your professionalism and demeanor far exceed any other massage therapist I have seen, and I have seen many! As someone that has gone through eight knee surgeries, and most recently tension in my hip and back, it is comforting to have someone that I can count on and understands my body. You have the great ability to make people feel comfortable. I have recommended you to many people – with the added advise that I have never had a Masseuse that was more in touch with what was going on in my body. One of the things I truly love about you, is that you have a genuine passion for what you do and this shows with results! Hope to see you soon – I am in desperate need! I feel so fortunate that I have found Leah and Relax Massage. I have been receiving massages from various therapists for years, and Leah’s touch is by far the most individualized, with total attention to my particular needs. Leah has certainly found her calling. She has the unique ability to sense the parts of my body that need extra attention, and then focuses her innate talents on healing the areas that cry out. And what a bargain! I have taken advantage of Leah’s monthly specials, and can’t believe that I’m paying so much less for so much more. Having the convenience of Leah coming to my home is a real treat in this busy world. I can't say enough good things about Relax Massage! In short, the price is right, the therapists are great, and they come to you! Leah, the owner, was so communicative and great. She let me know about her monthly special, which saved me over $30 per massage. Shannon, our massage therapist, had an excellent touch. It was like she knew exactly how much pressure to apply without ever having to ask. And did I mention she did three 90 minute massages without showing any signs of fatigue?! I will definitely be booking a massage with Leah and her crew the next time I am in Sonoma. I highly recommend getting a massage from Leah. I have had several and can't wait for another! She really listens to you, if you specify any particular requests, and she can read the body very well and know what areas are most tense and how to undo that tension. She provides a relaxing environment and you will definitely come out feeling wonderfully refreshed! She's a great person and gives a greattt massage. My husband & I have used Leah quite a few times and have recommended her to quite a few friends. She has such a passion for massage that her massages are so healing. She is very trustworthy and non-judgemental. She is very strong and can go as deep as you need. If you need an amazing massage Leah is the girl for you! My wife and I have both used Leah's massage therapy and have come away amazed by what Leah can do. Her expertise in this area is outstanding. She not only performs massage but also has knowledge of correcting specific body parts as well as general health capabilities. Leah also has an extensive network of colleagues that she sources for couples messages and her customer specific needs. I highly recommend Leah. Leah was great to work with in setting up a couples massage during a recent trip to wine country. She brought along a very professional and excellent massage therapist so we could have our massages at the same time. The price was right and the massage couldn't have been better. She also gave us an excellent recommendation for an off the beaten path winery that we would have never known about. Leah was awesome! I scheduled her to come early in the morning to give my sister a massage as the bridemaids set up for her bridal shower. Leah was extremely professional, she arrived 15 minutes early as she had stated, brought all her own equipment, (massage bed, blanket, music). My sister said she was fabulous, much better than Burke Williams in SF, and of course waaaaaay more affordable. I will be making an appointment for myself the next time I spend the weekend in Sonoma! Leah was wonderful. She was able to come last minute and help my back recover from surgery. She was prompt, professional and very easy to work with. I liked her so much she came back two days later to work on my husband's bag and he is now feeling wonderful. I was looking for a massage therapist to come to me. The cost was so much less then a spa and I got a way more custom massage & facial. The therapist was amazing and I felt like I left the spa at Sonoma Mission Inn. The best experience ever! The massages were absolutely incredible! The therapists were amazingly inciteful regarding where to focus, how much pressure to apply, and what our individual needs were. We will definitely be contacting you again when we're back in Sonoma. Thank you for such an exceptional job! Check back often for our Monthly Specials! For more reviews check us out on Yelp!